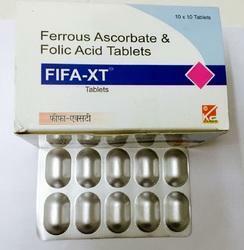 We are a leading Manufacturer of ferrous ascorbate syrup, iron tablets and ferrous ascorbate drop from Lucknow, India. It shows enhanced absorption because of ascorbic acid. It offers better bio-availability and better GI tolorence as compared to conventional iron supplimentations. 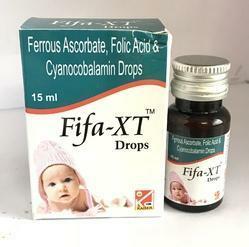 Lowers the risk of congenital heart defects,limb defects. 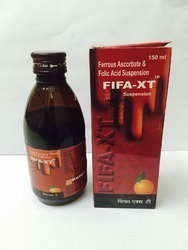 Fifa Xt is the IRON Shakti for the Woman. Looking for Haematinic Medicine ?